The Club of Rome was founded in 1968 as an informal association of independent leading personalities from politics, business and science, men and women who are long-term thinkers interested in contributing in a systemic interdisciplinary and holistic manner to a better world. The Club of Rome members share a common concern for the future of humanity and the planet. The aims of the Club of Rome are: to identify the most crucial problems which will determine the future of humanity through integrated and forward-looking analysis; to evaluate alternative scenarios for the future and to assess risks, choices and opportunities; to develop and propose practical solutions to the challenges identified; to communicate the new insights and knowledge derived from this analysis to decision-makers in the public and private sectors and also to the general public and to stimulate public debate and effective action to improve the prospects for the future. 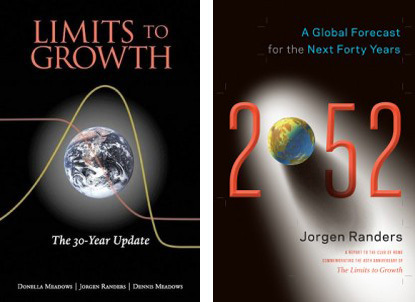 The Club of Rome, in its early years, focused on the nature of the global problems, the “problematique”, on the “limits to growth” and on new pathways for world development. The Club of Rome is focusing in its new programme on the root causes of the systemic crisis by defining and communicating the need for, the vision and the elements of a new economy, which produces real wealth and wellbeing; which does not degrade our natural resources and provides meaningful jobs and sufficient income for all people. The new programme will also address underlying values, beliefs and paradigms. The Club of Rome publishes its findings in reports and, since its founding, has released 33 reports concerning the future of humanity. The Club of Rome currently consists of approximately 100 individual members; over 30 national and regional associations; the International Centre in Winterthur, a European Support Centre in Vienna and the Club of Rome Foundation, which provides the opportunity for major individual donors to be involved, to participate in the development and dissemination of the Club’s projects and messages.